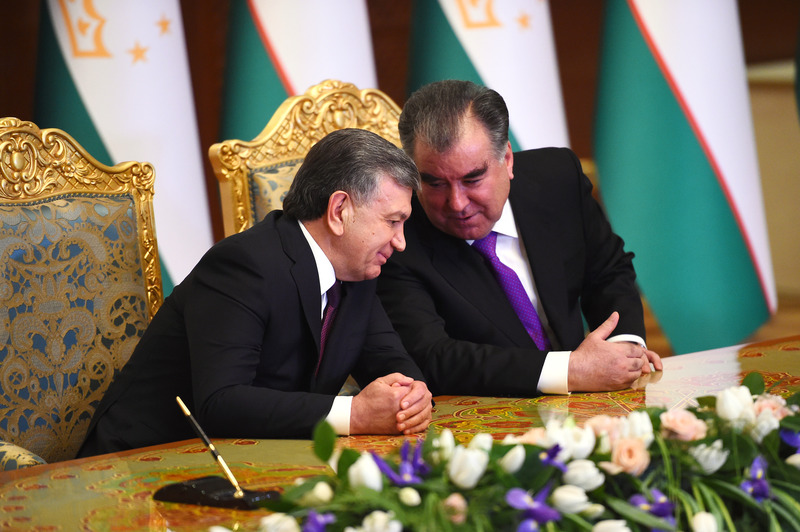 DUSHANBE/TASHKENT -- Tajikistan and Uzbekistan are working to re-open all crossing points along their shared border, Asia-Plus reported Wednesday (January 17). The Panjakent-Samarqand border crossing point between Tajikistan and Uzbekistan, sealed by Uzbekistan unilaterally eight years ago, is expected to re-open for operation March 21 this year ahead of the Nowruz holiday. Tajikistani and Uzbekistani officials are continuing discussions to re-open all other crossing points along the mutual border as part of an agreement reached during a session of the Tajik-Uzbek intergovernmental commission for trade and economic co-operation in Dushanbe on January 10, a Tajik government source told Asia-Plus. There are 16 such border crossings along Tajikistan's shared border with Uzbekistan -- 12 in the northern Sughd Province and four in the southern Khatlon Province and Tursunzoda District.